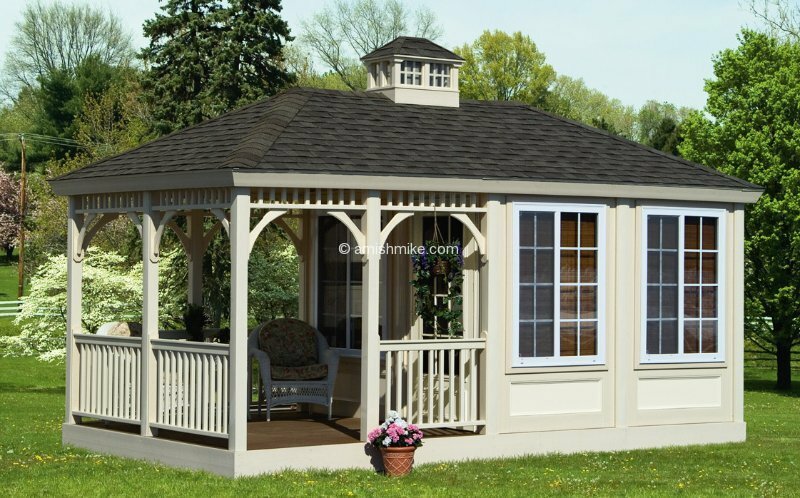 By adding a porch with a floor and rails and post, you can have an open feel or even add a screen package and be able to sit back and enjoy your pool any time of the day. 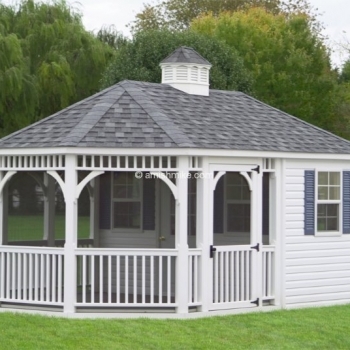 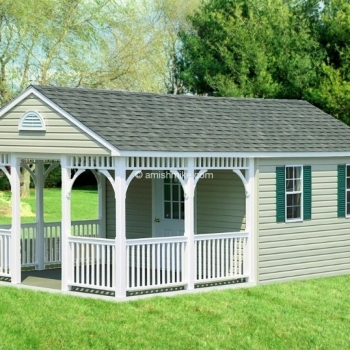 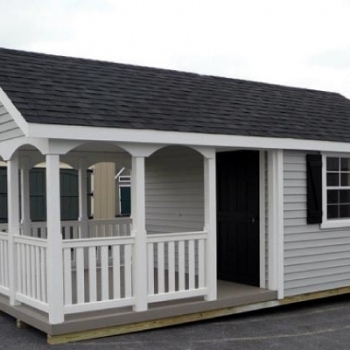 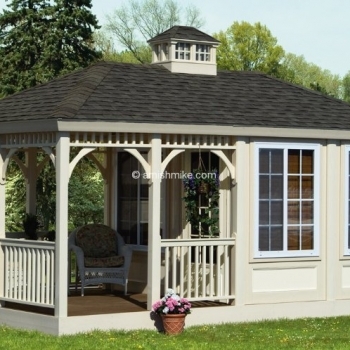 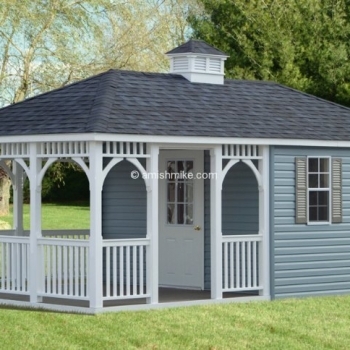 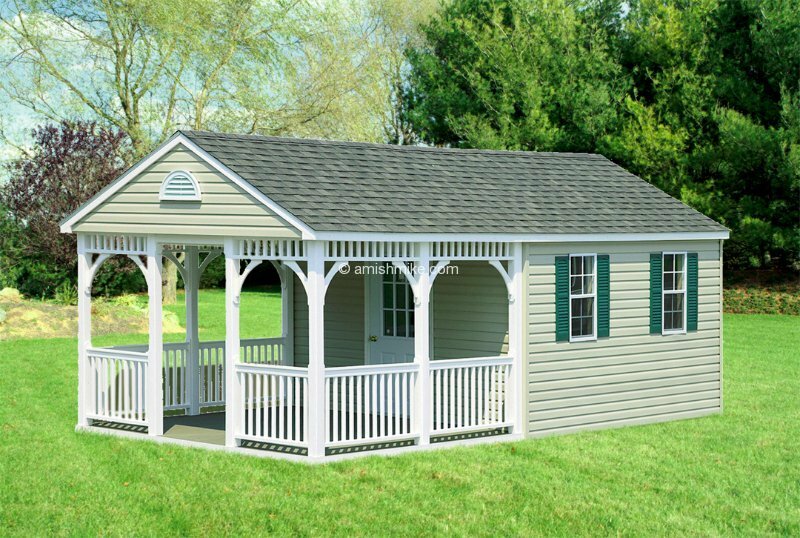 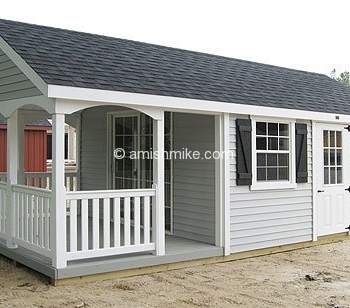 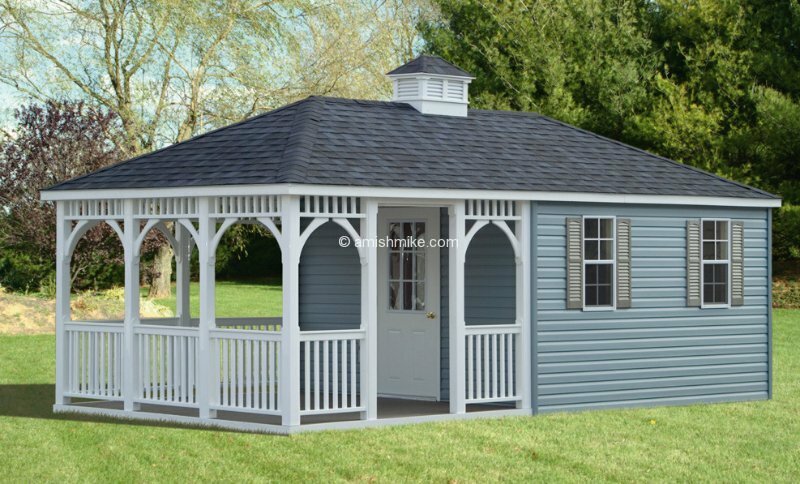 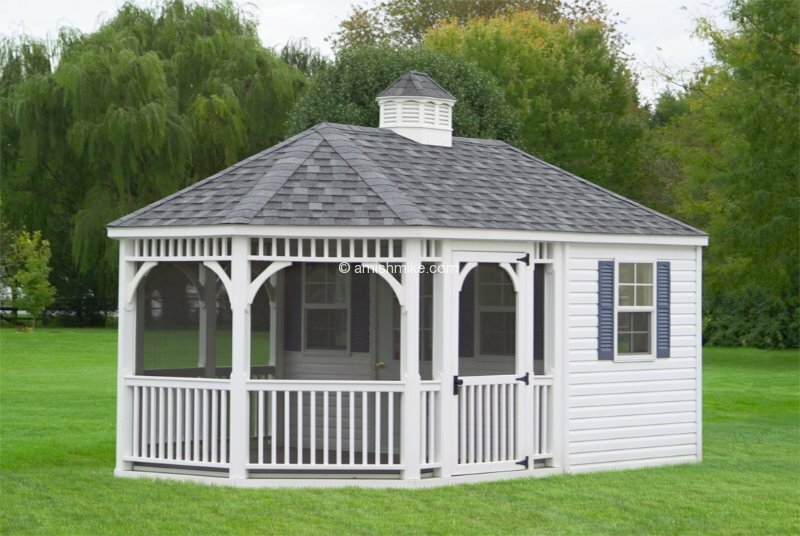 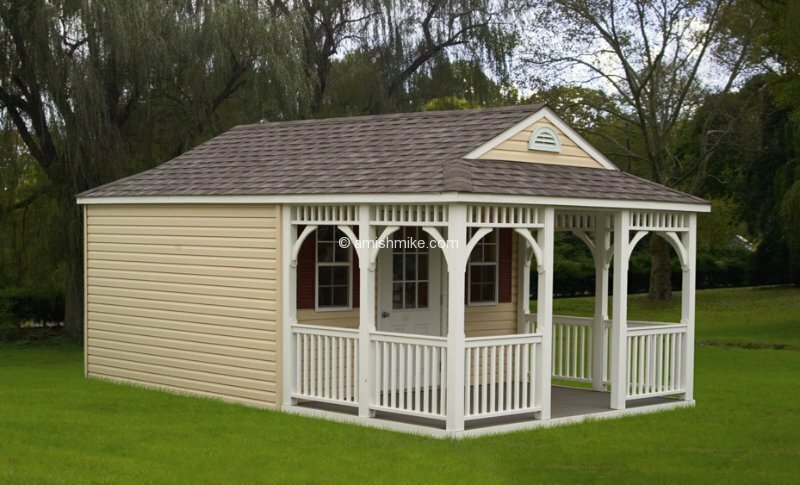 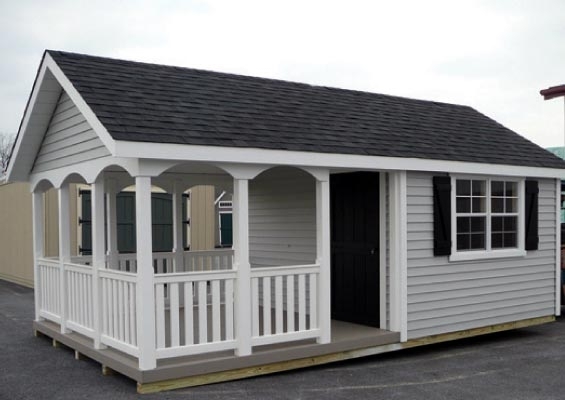 This pool house can be custom order to your size in both the storage or porch portion. 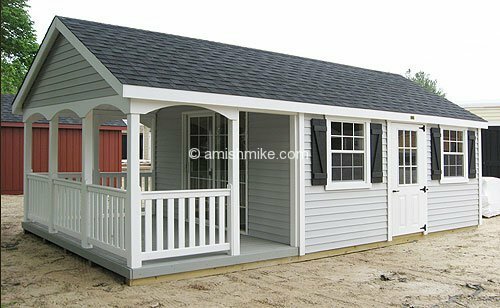 The porch can be done with pressure treated wood or trek, the trek is available in both gray and tan. 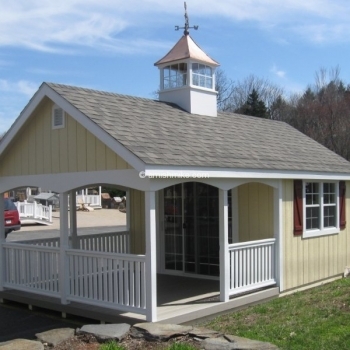 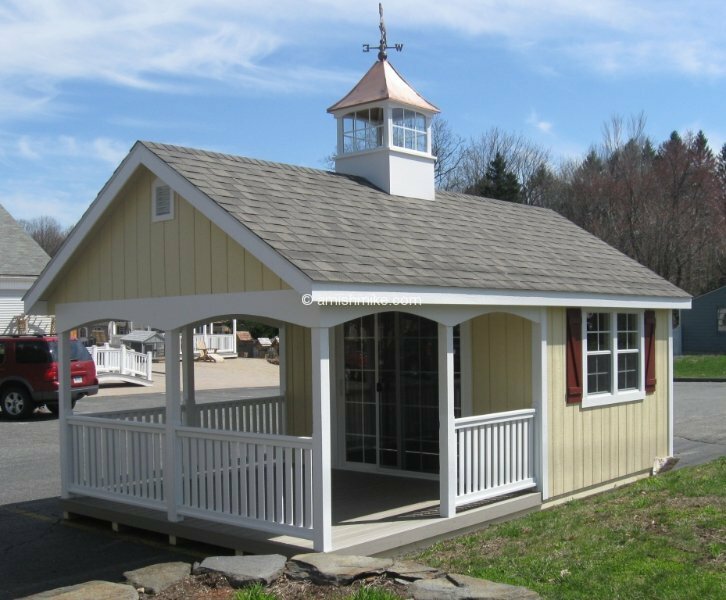 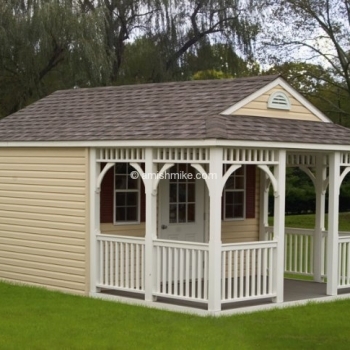 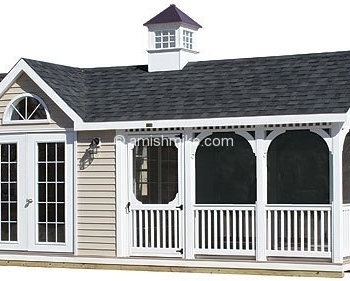 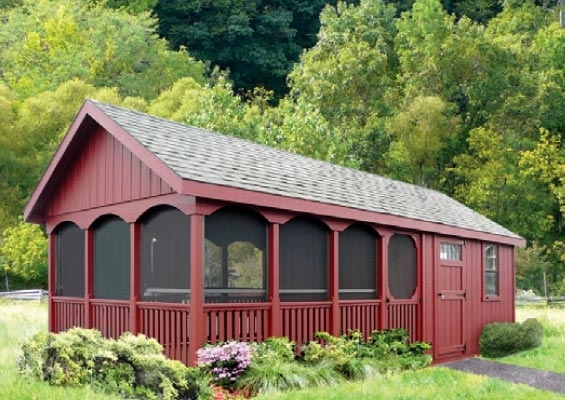 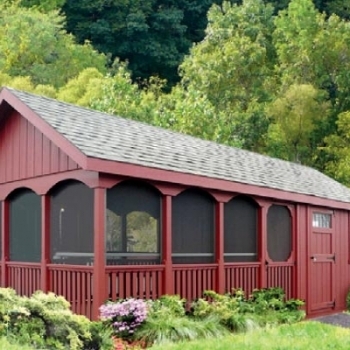 This pool house is available in many different types of siding from vinyl siding and more. 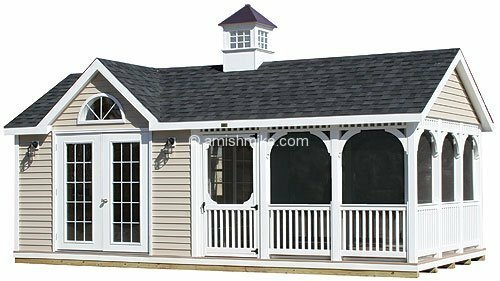 Make this pool house even more custom to your needs by adding dormers, glass top doors, larger windows and more.